Indian Wells Brewing Company on Highway 14 is one of the most fun stops I have stumbled on recently. On a road trip up Highway 395, my friend happened to have a beer at Copper Top BBQ made by the brewery; noticing it was on my way home, I decided to give it a try. What I didn’t realize is that they make over 100 types of soda for the company Rocket Fizz and because of this it is a super fun stop for the whole family to try really weird drinks like ranch dressing and buffalo chicken sodas. Here is all the information so you can check it out for yourself. 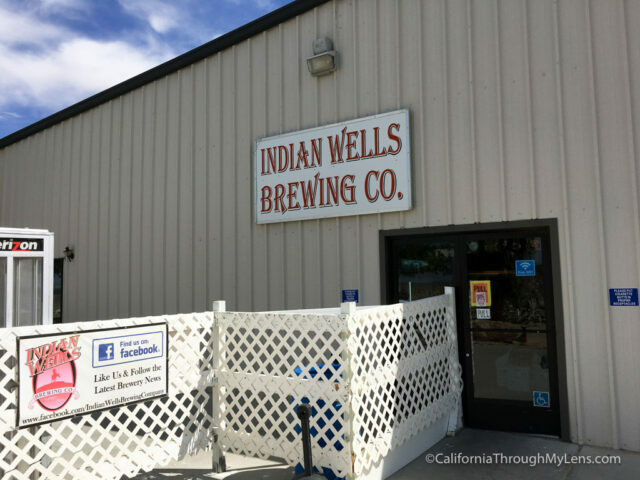 Indian Brewing Company is located pretty much right at the intersection of Highway 395 and Highway 14. 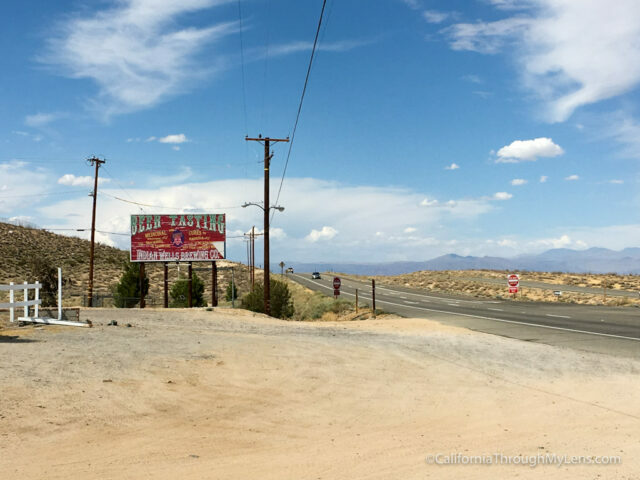 If you are heading up the 395 from LA, then you have no doubt passed it many times. There is a giant beer sign near the road and a big parking lot outside. 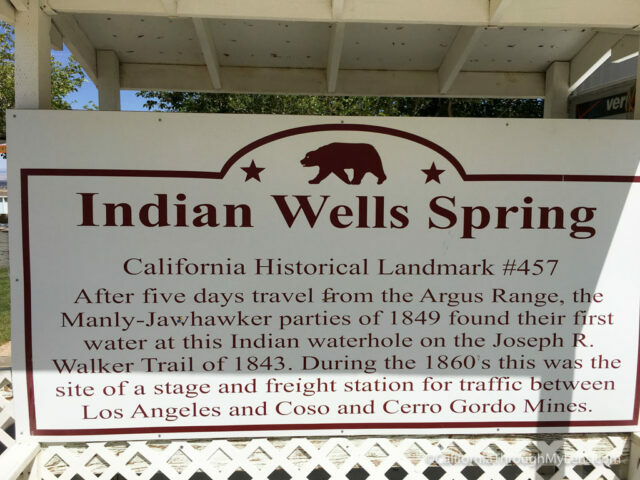 The building itself is located on the historic Indian Wells, which is a natural spring that has been used for over a century. Upon arriving at the brewery, I found a parking spot and walked past the historical marker that talked about the area’s unique history, mainly from the spring that has provided water for over a century. The brewery itself is exactly what you would expect, a large commercial building that is dimly lit. What you will notice when you walk in is that the brewery itself is covered in soda along pretty much every wall. 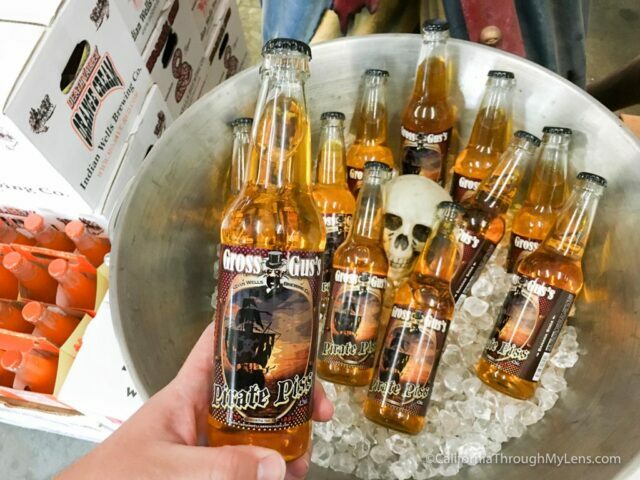 The sodas range from normal root beers to crazy dirt sodas. After talking to the woman working there, I was told that this is the brewery that makes all of the famous Rocket Fizz sodas. 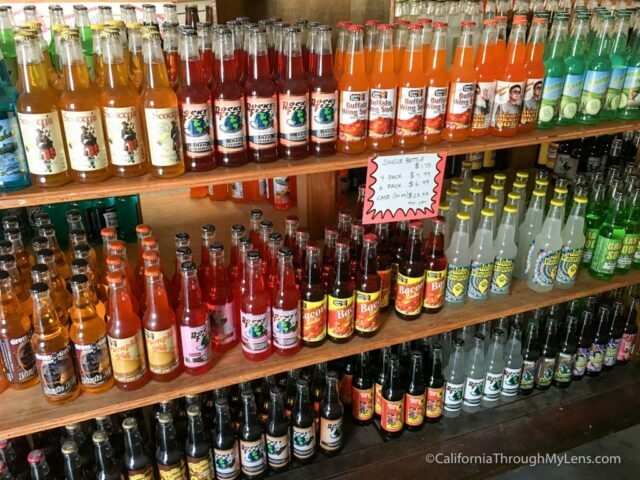 I have been to a few Rocket Fizz’s around California, such as the stores in Los Angeles and San Luis Obispo to name a few and it is always a blast. I took my time walking around the store and looking at all the crazy sodas they had. I also sampled a few of them from the tap and took home a four pack of root beer and cream soda. 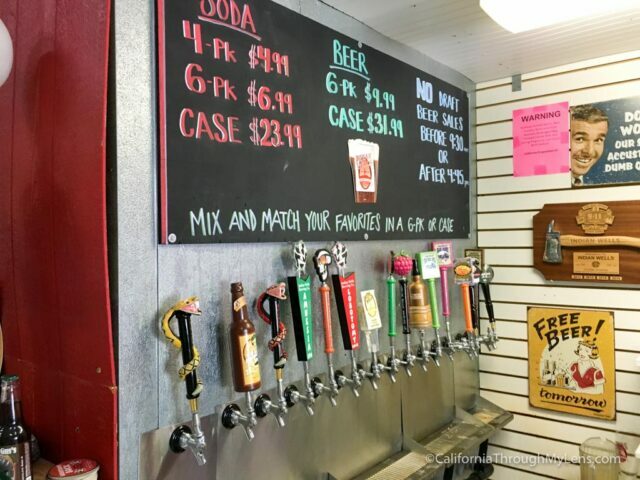 They also make a half dozen beers as well here which you can try or take home. The brewery has a nice outdoor shaded grass area where you can sit and enjoy your drink or just stretch your legs. 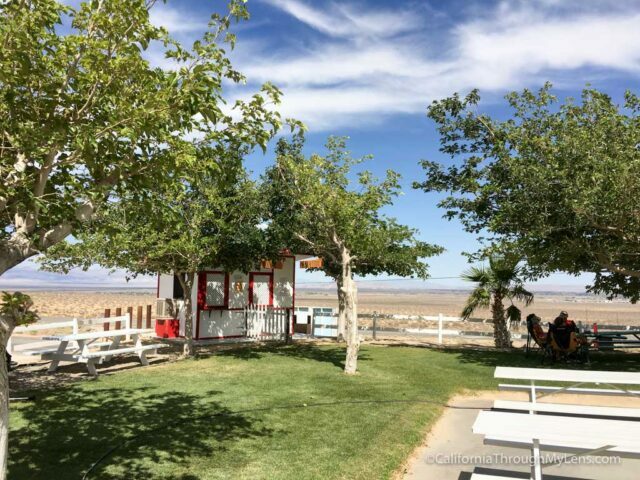 Even though I only stayed for a few minutes, I can honestly say this is a great stop and one that I will be visiting each time I drive up Highway 395 now. Be sure to check it out and let me know what your favorite soda is in the comments.